At Wenonah Canoe, your privacy is of utmost importance to us. While information comprises the foundation of our ability to provide superior service, the trust of our customers is held in the highest of regards. We DO NOT share or sell information that we gather to any company, organization, or person outside of our organization. Wenonah Canoe is the sole owner of the information collected on this web site. Wenonah Canoe collects information from our users at several different points on our web site. The information (name, address, phone number, email address, and business characteristics) entered by individuals or businesses that subscribe to our site is maintained in our server database. The email addresses of those who subscribe are stored in a database that is used only to communicate new offers, specials, and information to the subscribers. 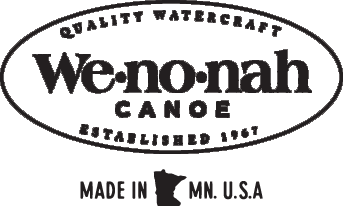 Wenonah Canoe will not share or sell any personally identifiable information we gather to any company, organization, or person outside of the organization. From time to time, we may use customer information for new, unanticipated uses not previously disclosed in our privacy notice. If our information practices change at some time in the future we will contact you before we use your data for these new purposes to notify you of the policy change and to provide you with the ability to opt out of these new uses, we will post the policy changes to our web site to notify you of these changes and provide you with the ability to opt out of these new uses. Information transmissions over the Internet cannot be 100% secure. However, Wenonah Canoe places a high priority on security and privacy by limiting access to our site to only authorized users who have valid passwords. In addition, Wenonah Canoe maintains a firewall to protect our database from third parties. Wenonah Canoe takes every precaution to protect our users information. When users submit sensitive information via the web site, their information is protected both online and off-line. When our registration form asks users to enter sensitive information (such as address, phone number, e-mail address, or credit card number), that information is encrypted and is protected with the best encryption software in the industry - SSL. While we use SSL encryption to protect sensitive information online, we also do everything in our power to protect user-information off-line. All of our users information, not just the sensitive information mentioned above, is restricted in our offices. Only employees who need the information to perform a specific job are granted access to personally identifiable information. Finally, the servers that store personally identifiable information are in a secure environment. Wenonah Canoe employees are made aware of our security policies and practices. We periodically review security policies and practices so that updates may be made as necessary in order to ensure the protection of visitor information obtained via our web site. If you do not want to receive e-mail from us in the future, please let us know by sending an e-mail to info@wenonah.com, calling us at the below telephone number, or writing to us at the below address. If you supply us with your postal address on-line you may receive periodic mailings from us with information on new products and services or upcoming events. If you do not wish to receive such mailings, please let us know by e-mailing us at info@wenonah.com, or writing to us at the below address. Please provide us with your exact name and address. Persons who supply us with their telephone numbers on-line may receive telephone contact from us with information regarding new products and services or upcoming events. If you do not wish to receive such telephone calls, please let us know by sending us e-mail at info@wenonah.com, calling us at the below telephone number, or writing to us at the below address. Please provide us with your name and phone number. This web site may contain links to other sites. Please be aware that Wenonah Canoe is not responsible for the privacy practices of such other sites. We encourage our users to be aware when they leave our site and to read the privacy statements of each and every web site that collects personally identifiable information. This privacy statement applies solely to information collected by this web site.